Smaller copper producers are struggling at this price range for the commodity and there is no indication that the price trend will change. Reference the last chart analysis for copper. Falling prices put pressure on high-cost copper miners. 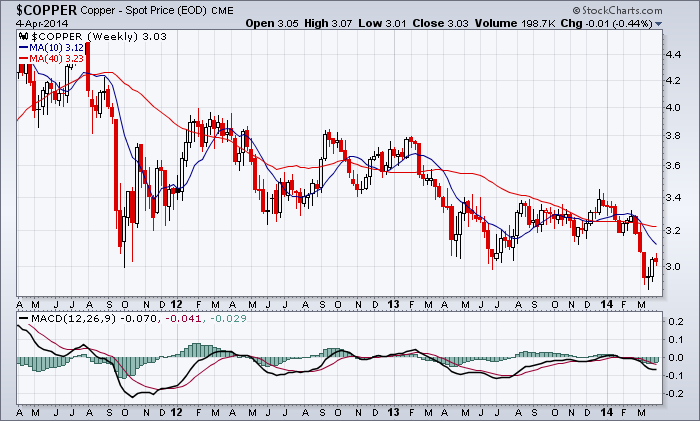 This entry was posted in Stocks and tagged candlestick chart, copper, MACD on April 4, 2014 by Trader.